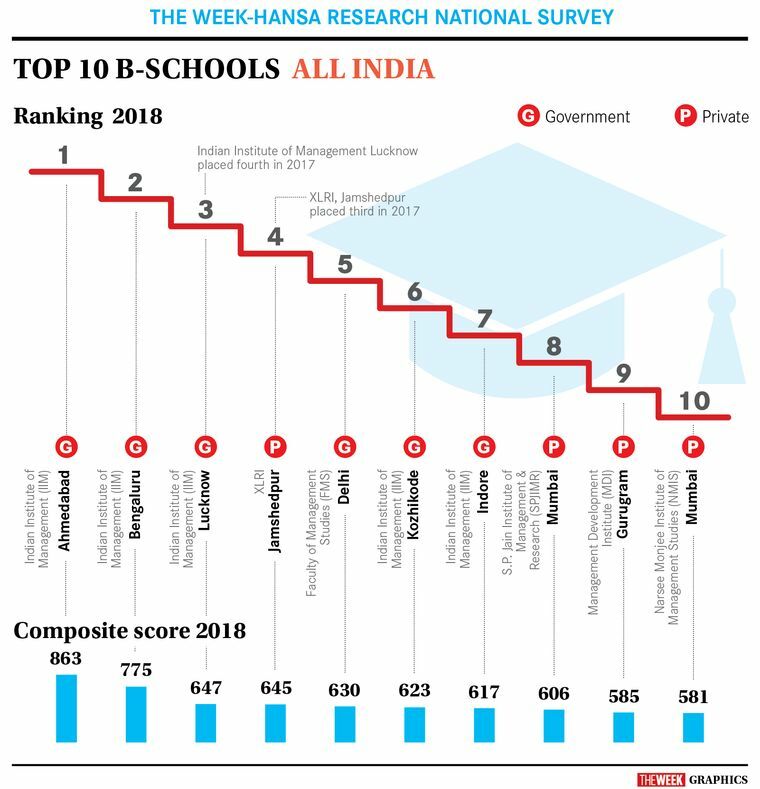 A primary survey was conducted in August through September 2018, where 175 academic experts, 410 current students, 460 aspiring students and 75 recruiters from 23 cities in India nominated the best b-schools in the country. 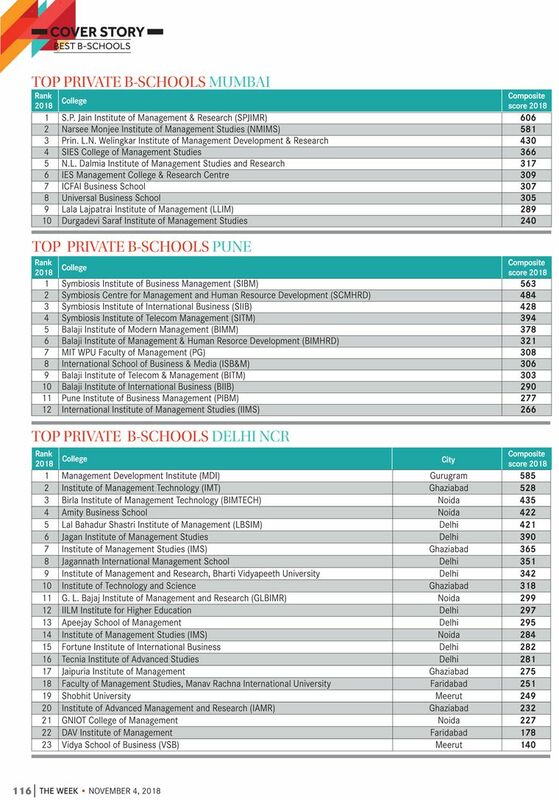 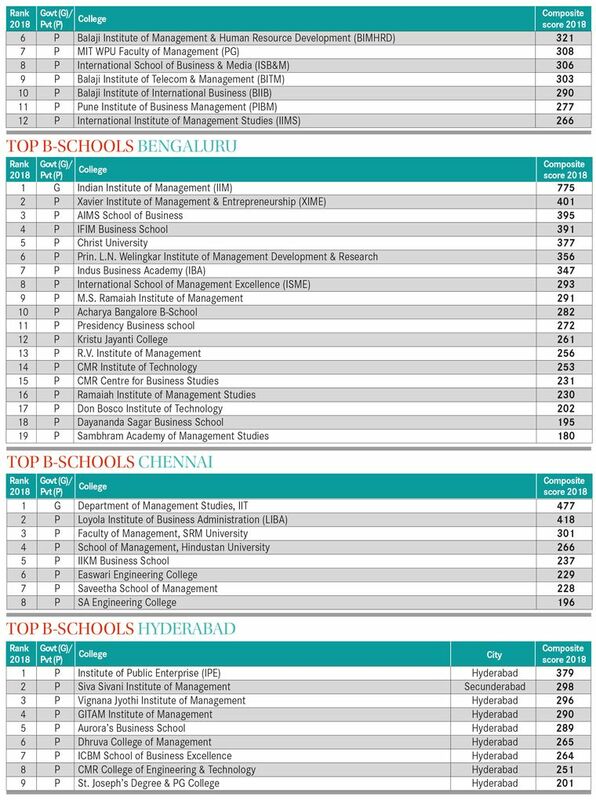 A closed-ended questionnaire was given to all the stakeholders, asking them to nominate and rank the top 25 b-schools in India and the top b-schools within their city. 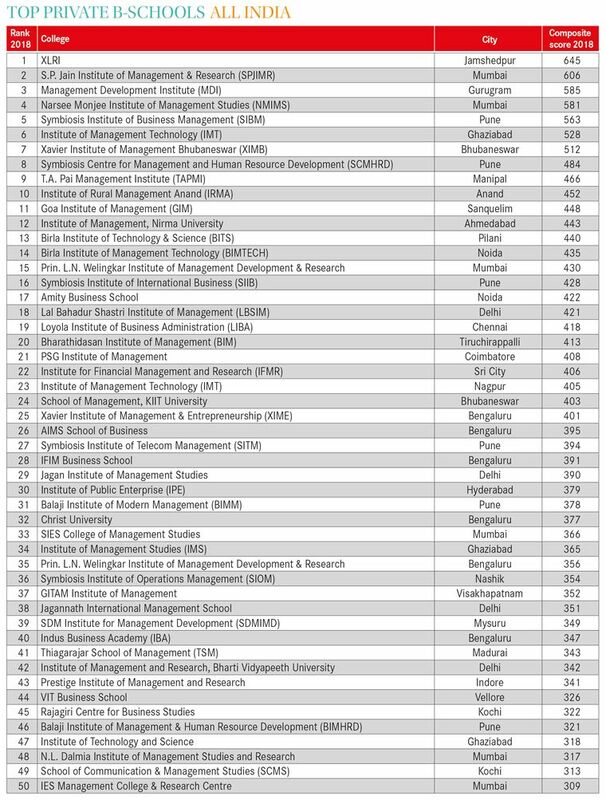 Out of the total 1,120 interviews, 30 qualitative, in-depth interviews were done to understand the reasons for the rankings. 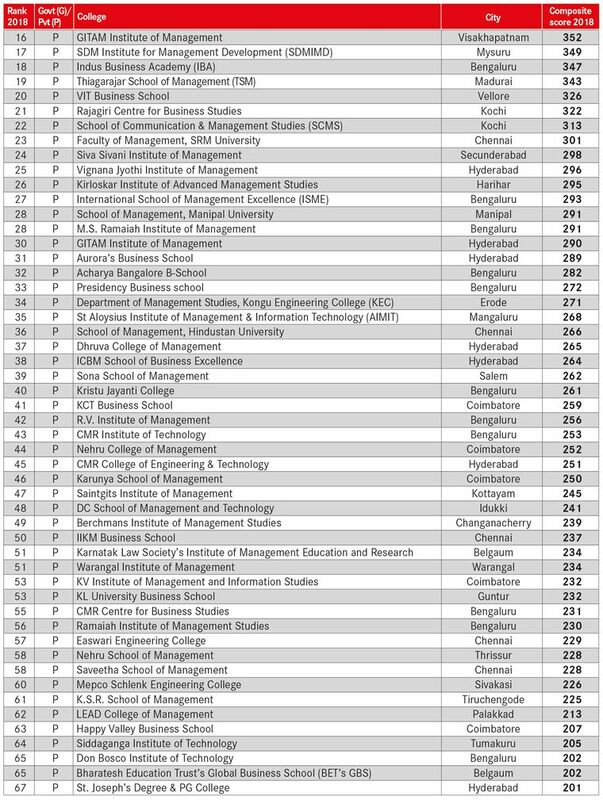 This exercise helped in validating the data and providing a rationale for the rankings, wherever required. 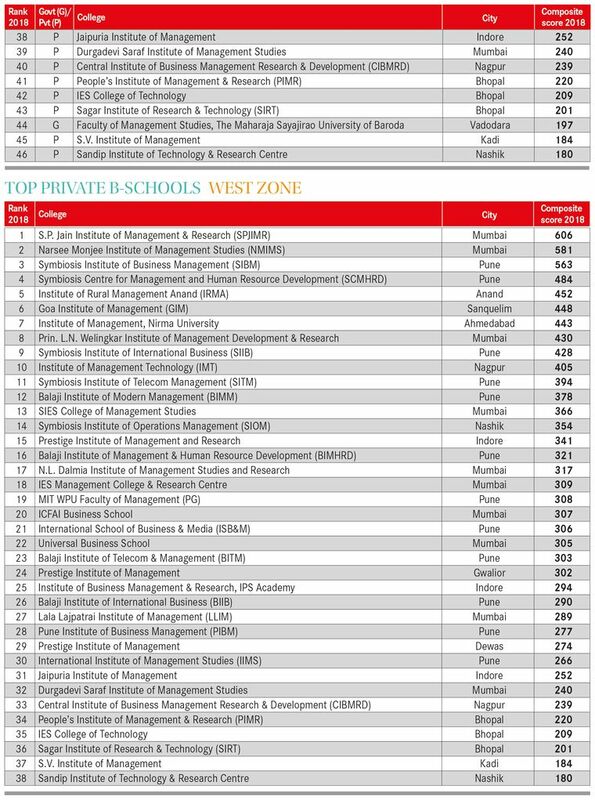 A dedicated website was created and the link was sent to more than 1,300 b-schools, of which 178 responded within the stipulated time. 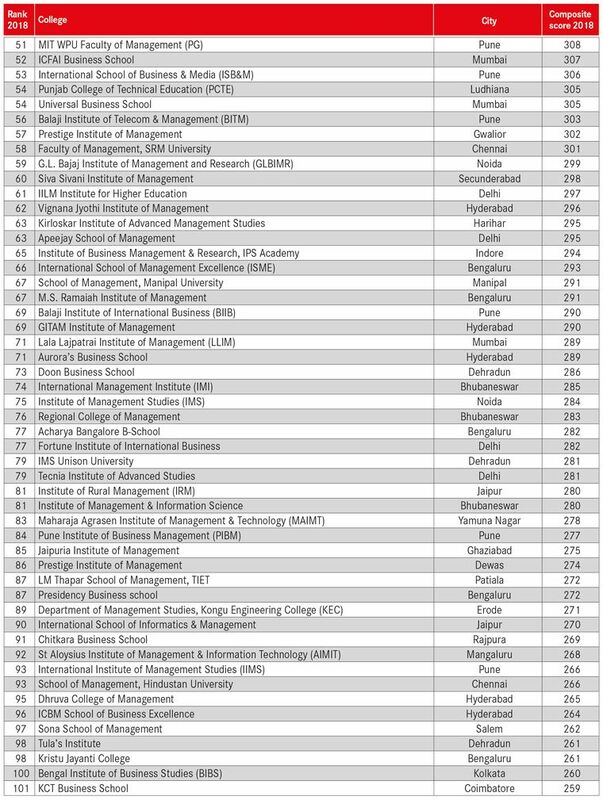 Nine b-schools were rejected because of incomplete data or lack of supporting documents. 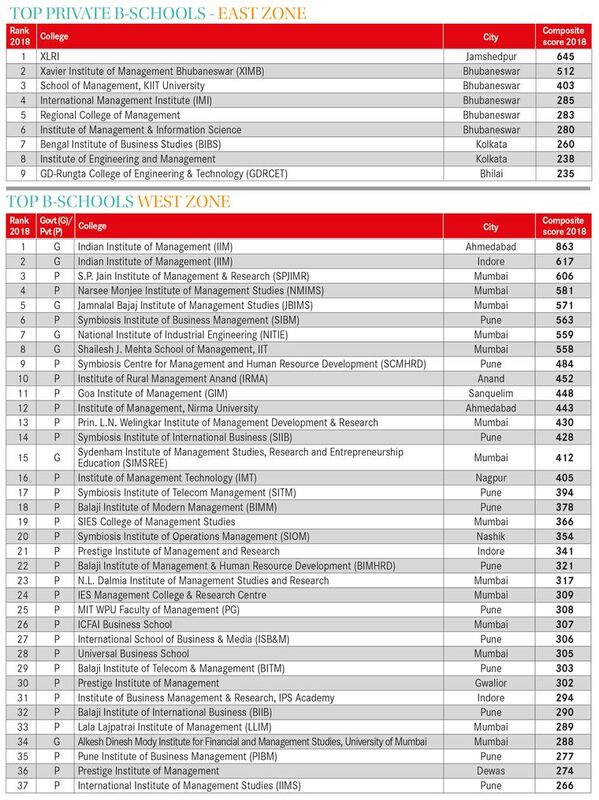 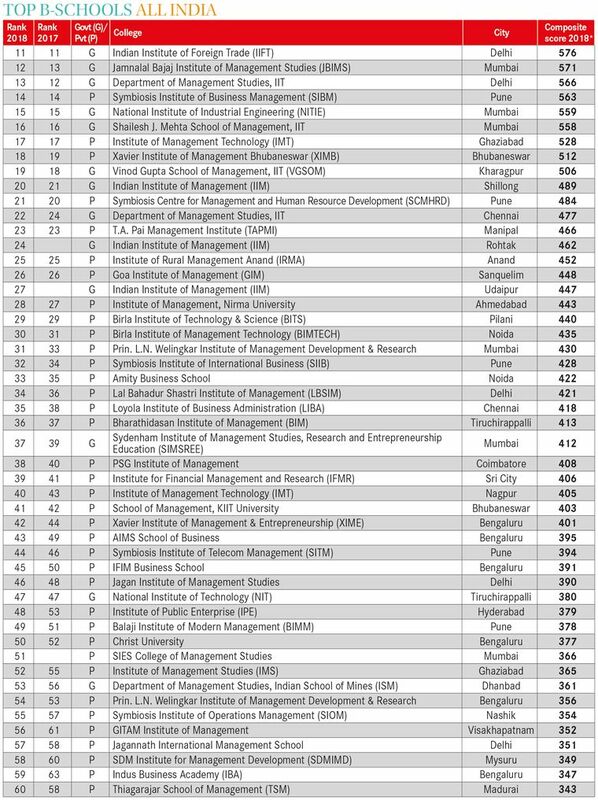 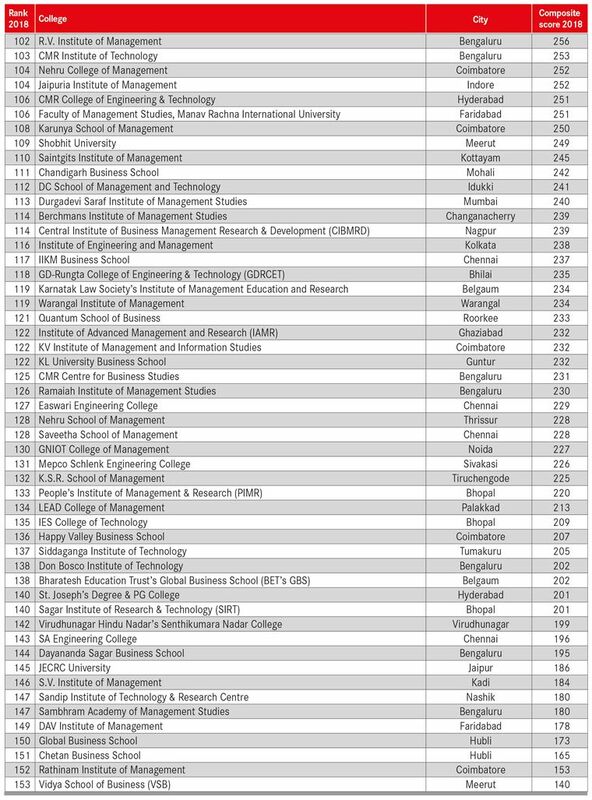 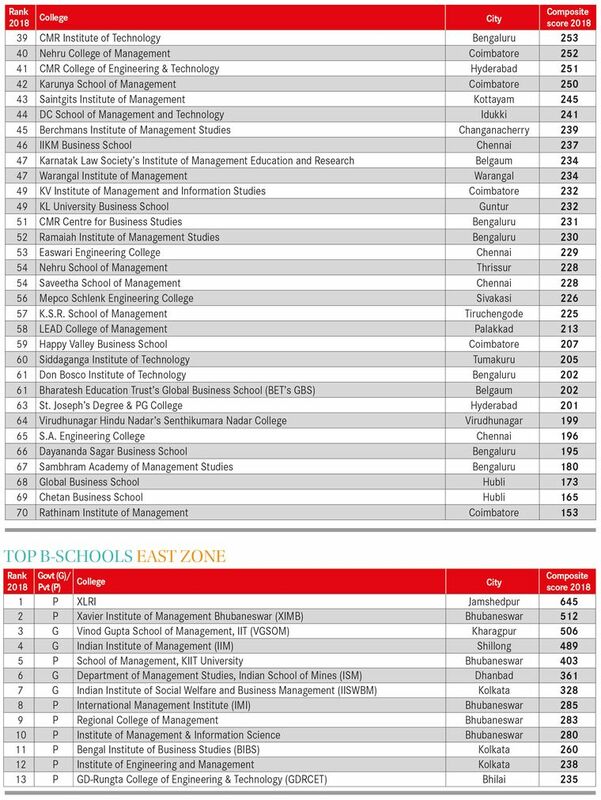 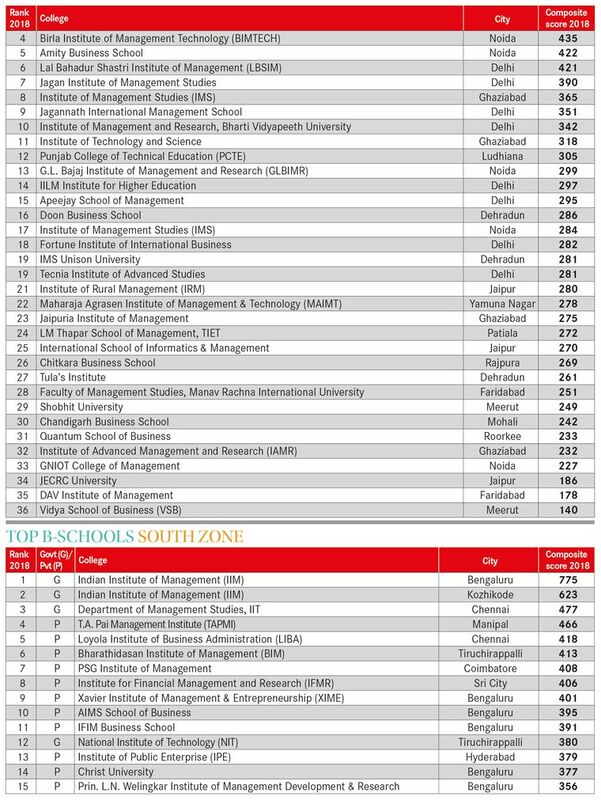 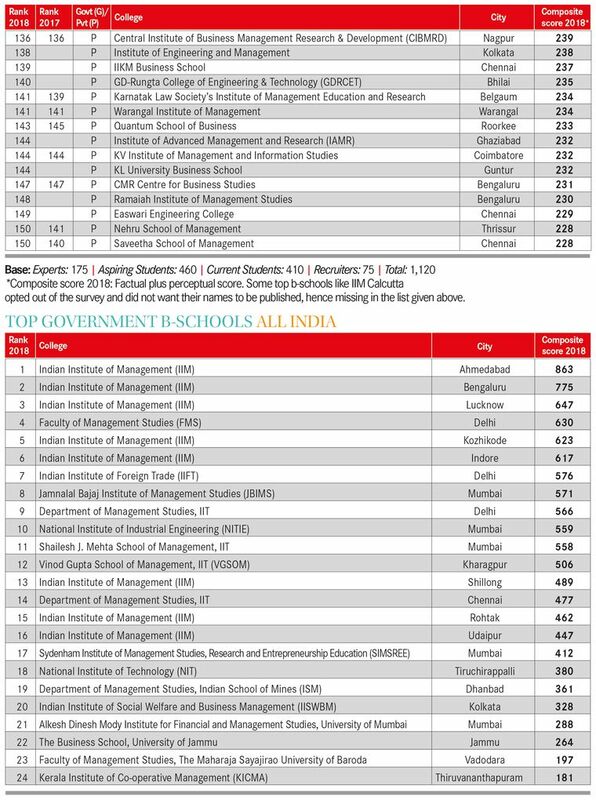 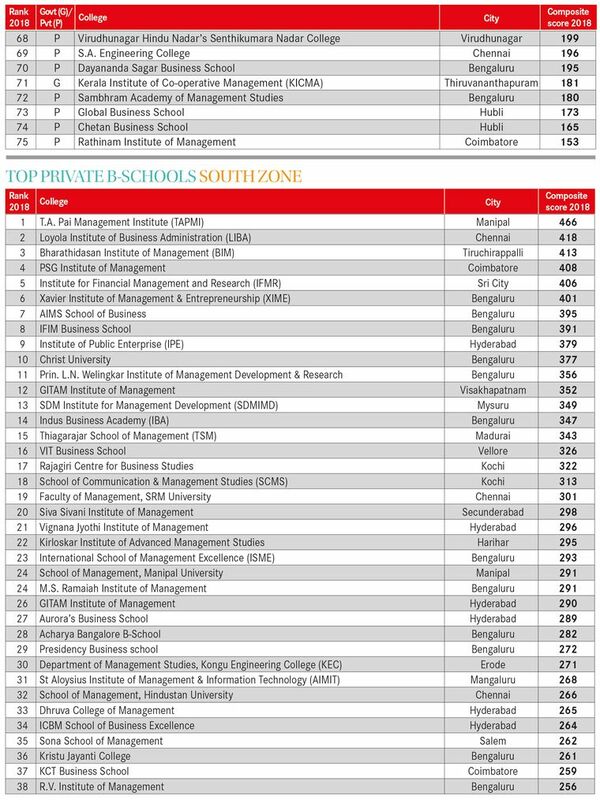 Data from the remaining 169 b-schools was used for the rankings. 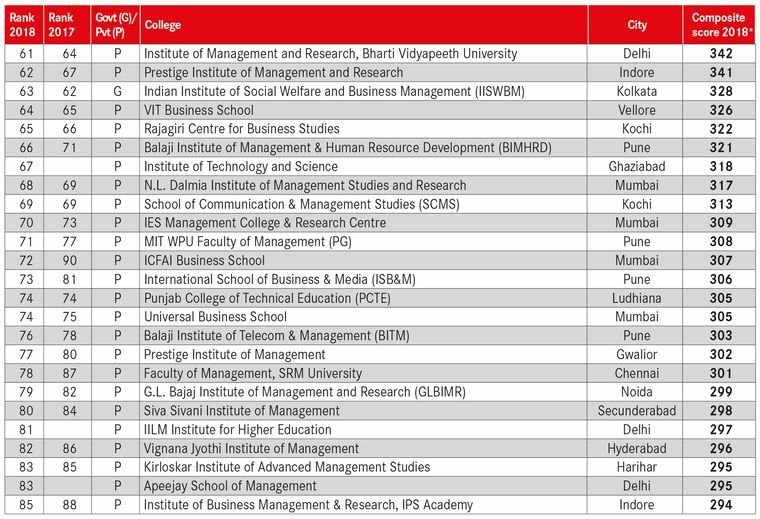 Factual score: Information collected from the b-schools was combined by applying appropriate weights to each dimension as given below. 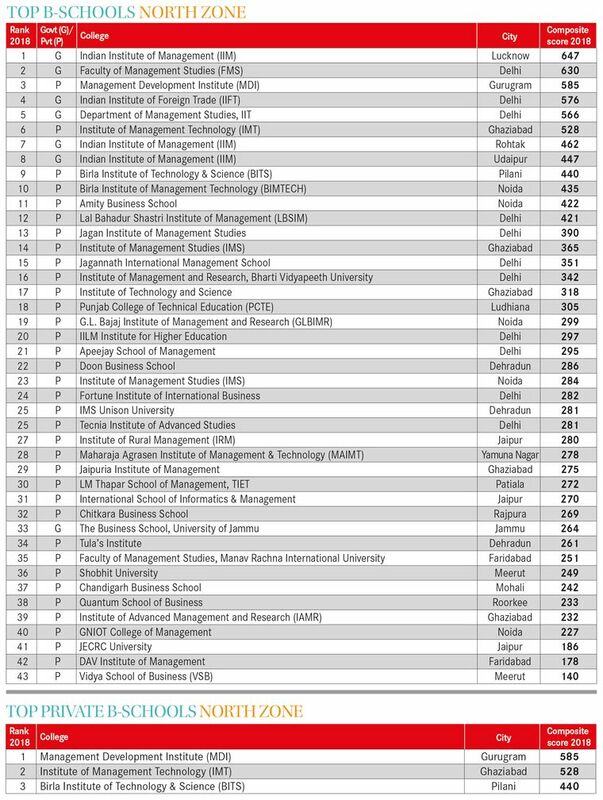 Ranking is based on a composite score derived by combining the perceptual score for the b-school and factual score. 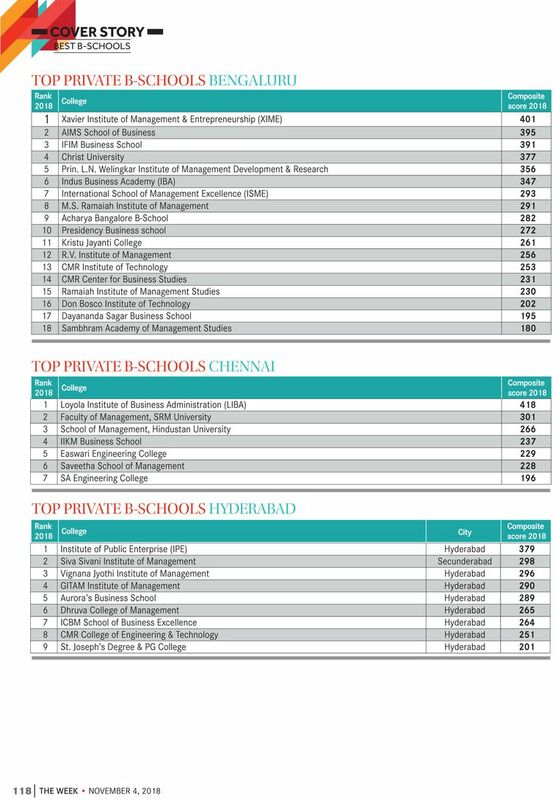 Some b-schools could not respond to the survey with factual information within the stipulated time. 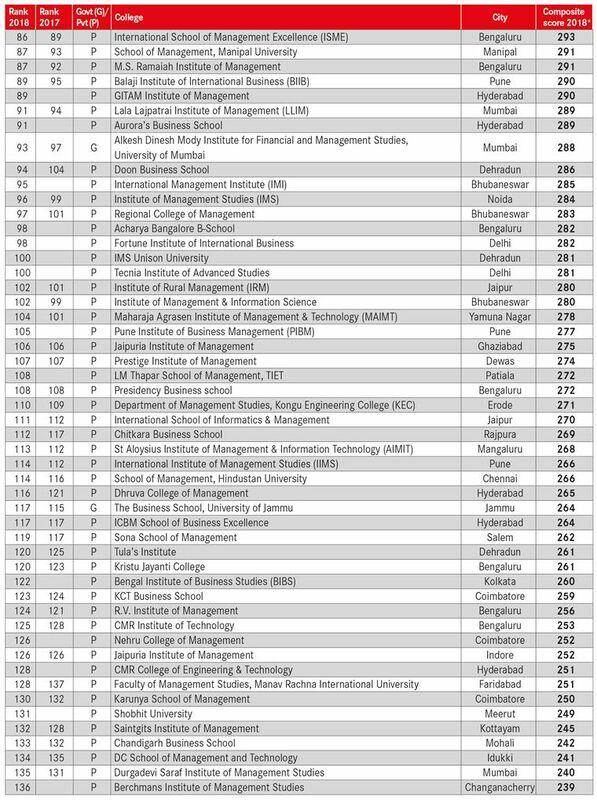 For them, composite score was derived by combining the perceptual score for the b-schools with an interpolated appropriate factual score based on their position in the perceptual score list. 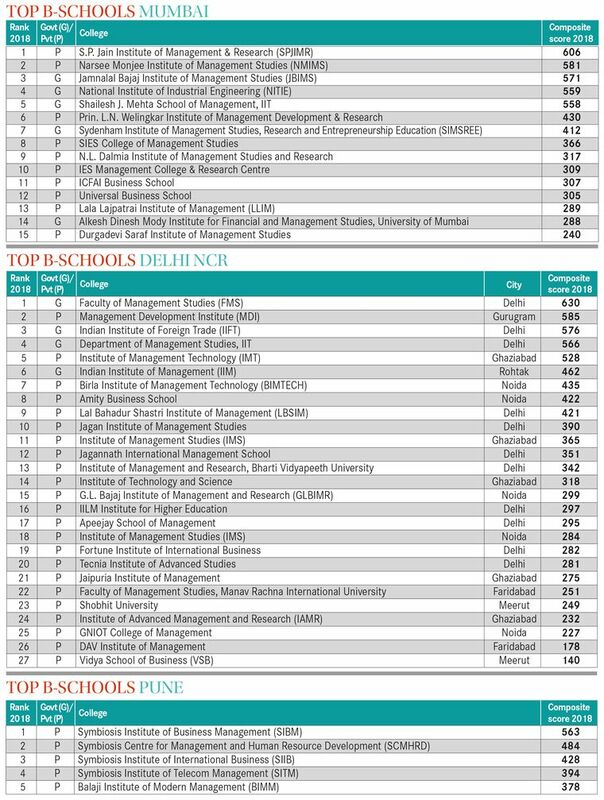 Some top b-schools, like IIM Calcutta, opted out of the survey and did not want their names to be published.